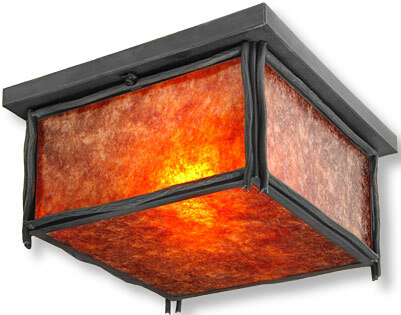 Warm, comfortable and cozy, this hand crafted solid light really sets the mood! UL rated for one 60 watt bulb. 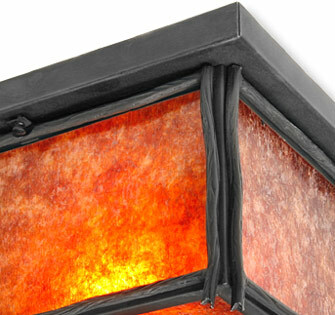 Old iron finish with amber mica lens.